Sarracenia x mitchelliana, these amazing plant collect insects in their tall pitchers and slowly dissolve the nutrients over many months. Their favorite food is European wasps, often filling a pitcher in days. Sarracenia x mitchelliana do not need insects but due to the food served swamps they are used to their native American habitat they have learned to supplement their diet with highly nutritious bugs. Sarracenia x mitchelliana are from a cold climate similar to the southern parts of Australia and can tolerate severe frosts and short periods of snow. All growth is from spring to summer and in late autumn the plants go into dormancy; over the winter months the previous year’s leaves will die and should be removed by August to allow new growths to appear. 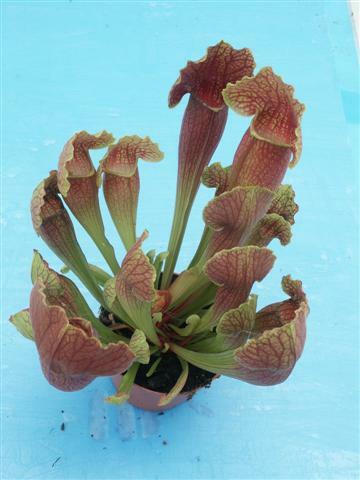 Best grown in full sunlight to partial shade; indoors Sarracenia x mitchelliana will form but without sunlight will not colour and stand up well. 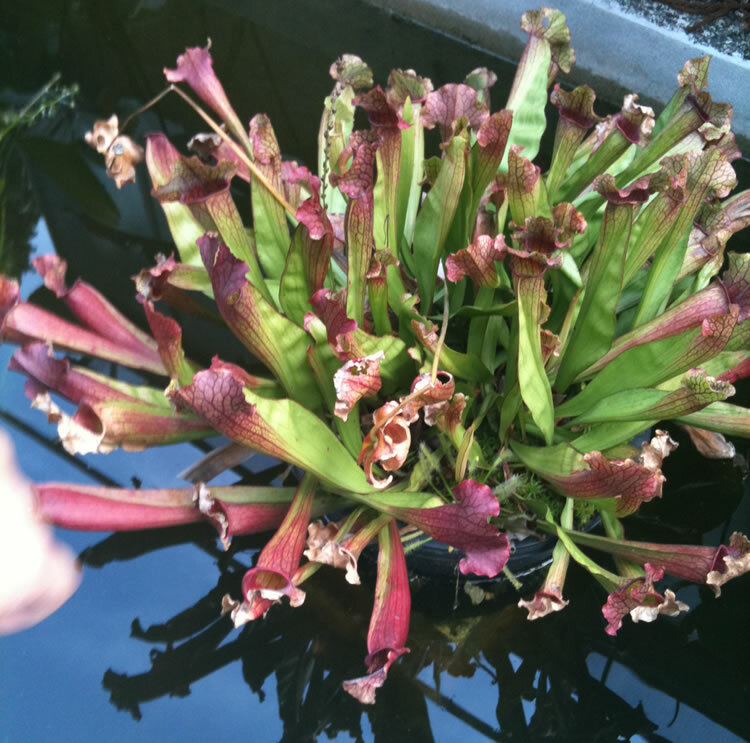 Plants should not be fed with any plant food and should be kept moist to wet at all times; they can be sat in a saucer of water in warmer weather to prevent drying out. Potting mix should be peat moss or sphagnum moss and coarse sand. 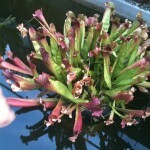 Dead or alive insects can be placed in the pitchers.